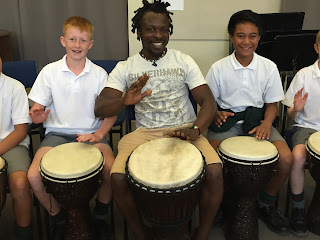 African Drumming with Robert Koffie Fugah this week. 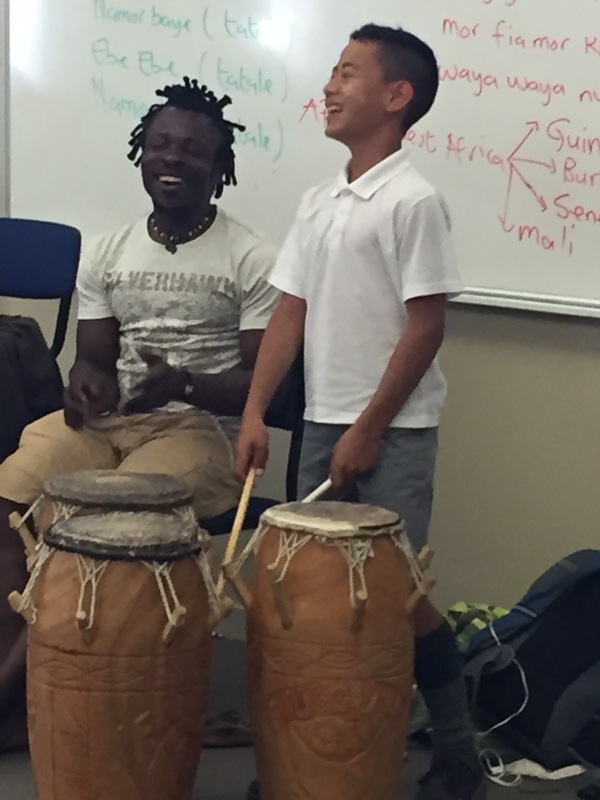 We have been lucky to have Koffie teaching 18 classes this week. 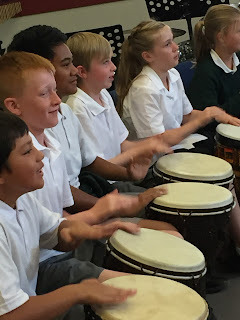 Students have learnt African song, background information and how to play fantastic djembes rhythms together. He will teach the 3 more classes on march 18th and also offer a special workshop for students who want to take it a bit further. There will be a small cost to this workshop, and there will be limited spaces (due to the number of djembes). 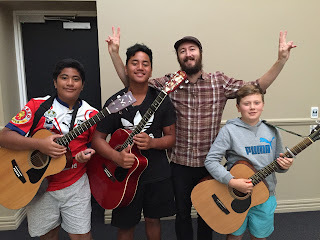 Sign up will be on chisnallwoodmusic.org.nz soon. Childrens' Day this Sunday March 6th at Spencer Park. 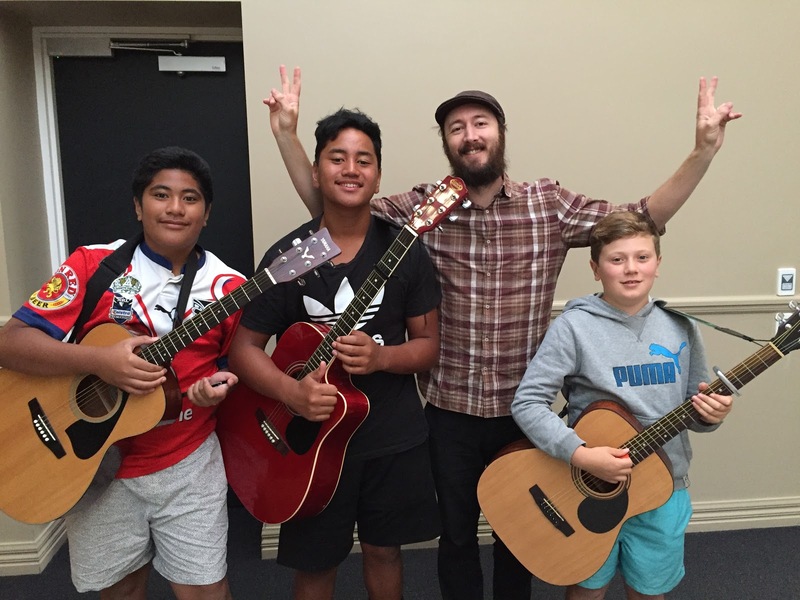 Look out for Dylan Jonkers singing original songs and last year's jazz band combined with our new members (1.30pm), last year's Irish band(2pm) and our Cosmic Latte rock band (2.30pm). 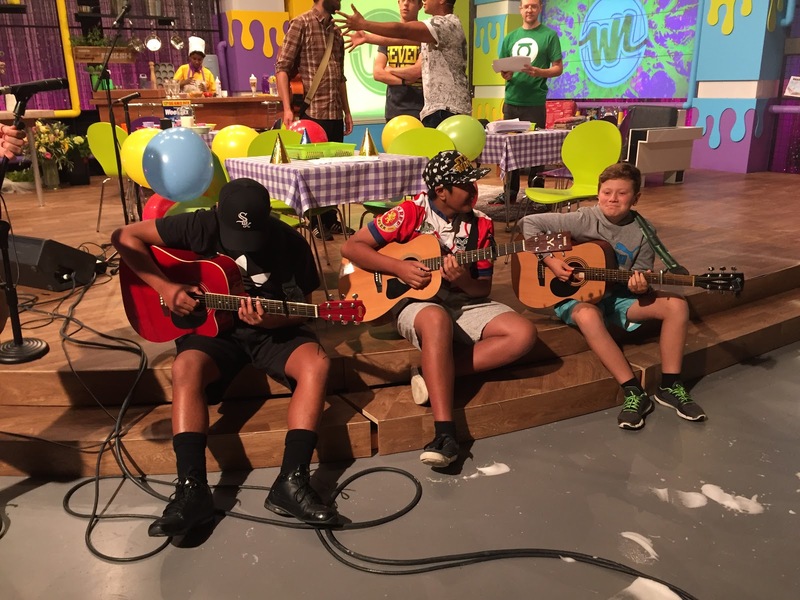 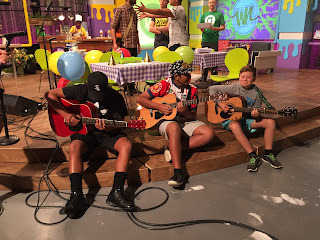 Congratulations to Jed Rimmer, Emmanuel Fruean and Dominic Petelo for their great performance with Avalanche City on What Now last Sunday!